Former FBI director James Comey told three FBI officials – Andrew McCabe, James Rybicki, and James Baker – about his conversations with President Donald Trump prior to his firing. All three officials have since been forced out or reassigned within the bureau. 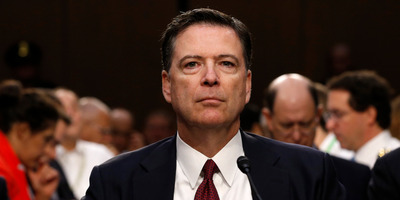 Former FBI director James Comey told three top FBI officials about conversations he had with President Donald Trump before he was fired last May. All three officials have since been forced out of the bureau, or reassigned within it. Comey testified to the Senate Intelligence Committee last year that Trump repeatedly asked him for his loyalty and to drop the FBI’s investigation into former national security adviser Michael Flynn. Flynn pleaded guilty in December to one count of making false statements to investigators about his Russia contacts. Comey told former FBI deputy director Andrew McCabe; his chief of staff, James Rybicki; and FBI general counsel James Baker about his conversations with Trump. McCabe was fired on Friday, one day before he was set to retire. His firing came amid an internal investigation into his handling of the Hillary Clinton email investigation, which found that he made unauthorised disclosures to the media about the probe while it was ongoing. McCabe said in a statement Friday that he had been “singled out” because of the events he witnessed after Trump fired Comey. The FBI deputy director’s termination also came following a string of public attacks on his integrity from the president, who claimed McCabe had put his thumb on the scale in favour of Clinton. Rybicki resigned from the FBI in late January to accept a job in the corporate sector. He became a target of Republican criticism for his role in helping craft a memo that exonerated Hillary Clinton in the investigation into her use of a private email server as secretary of state. He answered questions from members of the House Oversight and Judiciary Committees earlier in January concerning his work on the Clinton investigation and on Comey’s claims that Trump asked him to pledge his loyalty before firing him in May 2017. Following his resignation, there was significant speculation that Rybicki had been forced out of the FBI amid pressure from congressional Republicans over his involvement in the Clinton investigation and his association with Comey. Baker, meanwhile, was a close friend and longtime associate of Comey’s, and his reassignment within the bureau in December was not entirely unexpected. When FBI Director Chris Wray was appointed to replace James Comey, it was widely understood that he would bring in his own team, including a new general counsel and, potentially, a new deputy. But the timing of Baker’s reassignment led some current and former FBI officials to wonder whether it was a politically motivated decision made under pressure from Trump and his allies in Congress and the media. It was later reported that Attorney General Jeff Sessions – an early and ardent Trump supporter – pressured Wray to oust McCabe and Baker to make a “fresh start” at the FBI.